The energy sector has played a key role in Mexican economic development by providing sufficient, reliable and low-cost industrial inputs, as well as goods and services for consumers. Throughout the years, the energy sector has also consolidated itself as a very important foreign currency generator. In the last decade Mexico has outpaced all other countries in the continent in a number of important indicators. In one year, 1985, Donald Hosmer went from working in the marketing department of Cox Broadcasting to becoming cofounder of an oil and natural gas company. Since then Hosmer, CEO, has turned Royale Energy Inc. (Nasdaq: ROYL) into the largest independent natural gas producer in California. What caused the crisis of 2001? It was a disaster waiting to happen. Circumstance, plain incompetence and greed all balled together in California, its 2001 energy crisis and the many crises to come. 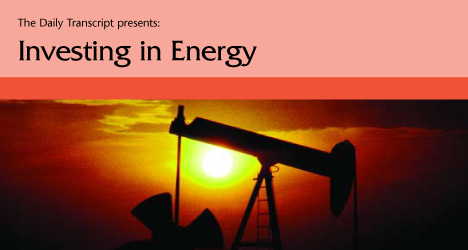 World Energy Educational Programs, a division of World Energy, announced last Wednesday that it will present "The Next El Dorado, a detailed explanation of Oil and Gas prospects and investing" to help investors learn about the world of oil and gas. CLOVIS, Calif. -- Pat Ricchiuti has always counted on California's steady sunshine to bring out his peaches' red blush and juicy, tangy sweetness. PARIS (AP) -- France beat out Japan in the race to host a $13 billion experimental nuclear fusion reactor that scientists hope will produce a clean, safe and endless energy resource and help phase out polluting fossil fuels.